This piece was originally published by theYale Daily News and is reposted here with permission. The cranes that were recently hoisted up to Yale’s skyline—towering above a pit teeming with machinery and workers in hardhats—look to students like a sign of things to come, a tangible reminder that today’s Yale is not tomorrow’s. To New Haven’s construction workers, the cranes symbolize an opportunity. The $500 million construction project for Yale’s two new residential colleges is among the largest in Connecticut history, and the massive undertaking has already resulted in a payment of $7.6 million in permit fees to the city of New Haven. By expanding Yale’s footprint northward, the new colleges could alter the composition of the adjacent Dixwell neighborhood, spurring new development or raising the specter of gentrification. But perhaps the most immediate effects of the project will be felt by those residents currently battling snow and frozen ground to lay the foundations for Yale’s first expansion of the undergraduate population in nearly 60 years. Before the college doors open in August 2017, at least 125 New Haven residents will be employed on the construction site in some capacity, according to Nichole Jefferson, executive director of the Commission on Equal Opportunities, which works to ensure publicly funded construction projects employ minority and female construction workers, as well as New Haven residents. “Truthfully, the city is ecstatic,” Jefferson said. “The administration and all the residents, because they may have the chance to work on that site. Representatives of Dimeo, the contractor overseeing construction, declined to comment to the News and deferred questions to Yale administrators. Based on the size of the project, however, Jefferson estimated that roughly 700 workers will be involved. Fifty to 60 subcontractors—including J.L. Marshall & Sons, Inc. of Massachusetts, Manafort Bros. of Plainville, Conn, Ducci Electrical of Torrington, Conn., and Suzio York Hill of New Haven—will work on various aspects of the new buildings, from delivering concrete for the foundation to installing electrical wiring, according to Jefferson. Federal law requires all construction projects receiving federal funding to ensure that 25 percent of work hours are performed by minority construction workers and 6.9 percent by women. Additionally, New Haven law requires projects that receive city dollars to reserve 25 percent of work hours for New Haven residents. Legally, the privately funded construction of the new colleges is not required to meet those standards. But Yale requires contractors to do so anyway, Jefferson said. Thus, she predicts 25 percent of the 700 workers on the site will be New Haven residents. Bruce Dykty, vice president of sales at Suzio York Hill, said Dimeo had contracted Manafort Bros. to oversee the building of the north college and J.L. Marshall & Sons for the south. Suzio York Hill has been subcontracted to deliver 100 to 150 cubic-yards of concrete every day. “It’s such a large project, a fast-track project that we needed to spilt it up because not one company could supply the man power to keep it going,” Dykty said. Because the project is privately funded, Jefferson is not monitoring the construction workforce to ensure it meets diversity standards. She said Danielle Gunther-Gawlak, associate director at Yale University Facilities, meets with Yale administrators and construction companies to discuss hiring targets and strategies for meeting them. Gunther-Gawlak declined to comment. Jefferson said that when contractors agree to hire only unionized workers, as Dimeo has, they monitor their workforces and contact local unions if they need additional women, minorities or New Haven residents to meet their diversity requirements. If the union does not have enough available workers, they contact the Construction Workforce Initiative, a program that provides training in construction skills for New Haven residents. Then, a CWI trainee may be hired to simultaneously earn wages and learn on the job. The union wages start at $15 an hour, Jefferson said. She estimates that New Haven workers will collectively earn over $5 million in wages over the course of the construction project. Already, roughly 25 New Haven residents have been hired through their unions or the CWI to work on the colleges in positions such as carpenters and pipe insulators. Dixwell Avenue, said he has never bid on a construction job at Yale because he does not know how to do so. He said he has never seen Yale projects listed in the local newspapers or online. Cherry believes Yale should do more to reach out not only to minority workers, but also to minority-owned construction businesses so that they have more information about how to navigate the process of bidding on jobs. Larry Stewart, the business manager for Tri-Con Construction Managers LLC, said his company has worked on several projects for Yale, including redoing the seats at the Yale Bowl. He, too, found it challenging to “get in the system” and become a company from which Yale will solicit bids. Stewart added that the construction industry historically has been dominated by white men, forming an “old boys network” that can be hard for minority contractors to break into. University spokesman Tom Conroy defended Yale’s record as a construction employer. He said Yale’s bidding process is fair. “Prior to entering into a contract, all bidders to Yale, including architects, contractors and material suppliers, are all evaluated to confirm that they are well qualified for the proposed contracted work based on their firm’s prior work experience,” Conroy said. Conroy also said jobs at Yale are “excellent,” offering strong compensation and benefits. Jefferson said she was excited about the next few years of work on the site for the new colleges. 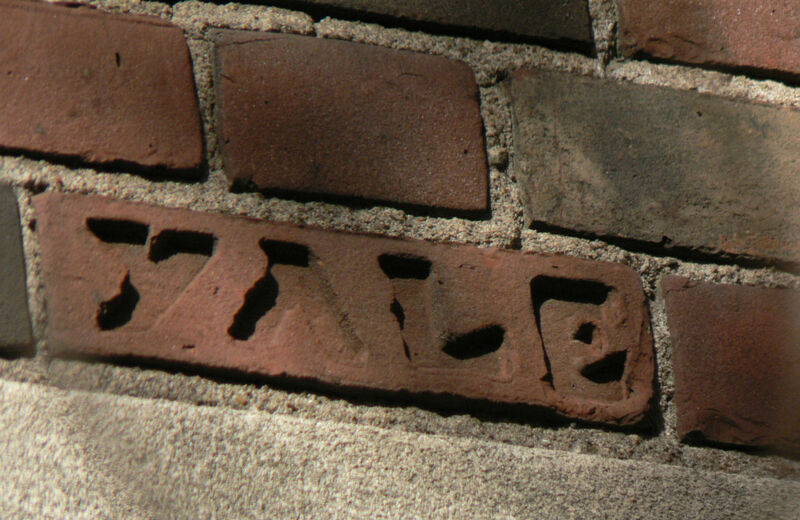 Isabelle TaftIsabelle Taft is an undergraduate student reporter for the Yale Daily News.